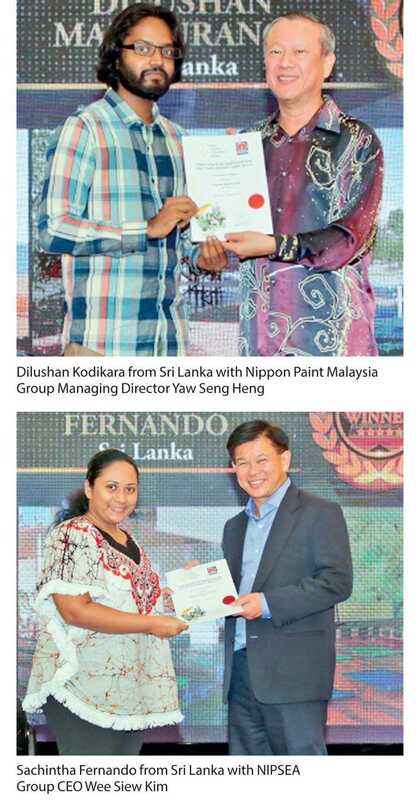 Nippon Paint sponsored two young designers from Sri Lanka following their ascent to the top spots at the Asia Young Designer Award (AYDA) held in Sri Lanka to take part in the regional Asia Young Designer Summit 2017/18 held in Malaysia. The Gold award winner in the Architecture category, Dilushan Kodikara from the University of Moratuwa and the Gold award winner of the Interior Design Category, Sachintha Fernando from the City School of Architecture joined delegates from 14 other Asian countries to take part in the four day learning program. Spearheaded by Nippon Paint, the program included coaching sessions, enlightening talks by industry experts and educational study tours of local architectural and historical sites. The participants also worked on design concepts in line with the theme ‘You for Tomorrow’ and presented their designs to a panel of 56 renowned judges from across Asia, for a chance to win the highly sought-after ‘Asia Young Designer of the Year’ title. At the Asia Young Designer Summit 2017/18, a number of internationally renowned speakers guided the summit delegates on various aspects of design and architecture. Amongst the expert summit speakers were Ar. Amit Gupta and Ar. Britta Knobel Gupta, internationally-acclaimed architects and Founding Partners of Studio Symbiosis (India); Chu Chih-Kang, Founder and Design Director of Chu Chih-Kang Space Design (Taiwan, Region of China) who incorporates Chinese cultural elements with deep cultural connotations in his commercial designs; Dr. Kamran Afshar Naderi, Branch Manager of Artelia Italia Company (Iran) who is also a renowned university professor and co-founder of architecture magazine Memar; Nicholas Ho, award-winning Deputy Managing Director of multi-disciplinary architectural practice hpa (Hong Kong, Region of China); and Rene Tan, Founder and Director at RT+Q Architects (Singapore) and 2016 recipient of ‘Designer of the Year’ at the President’s Design Awards. “The summit agenda took us on an inspiring journey which encouraged us to break conventional barriers and come up with design concepts that can steer us all towards a better tomorrow. 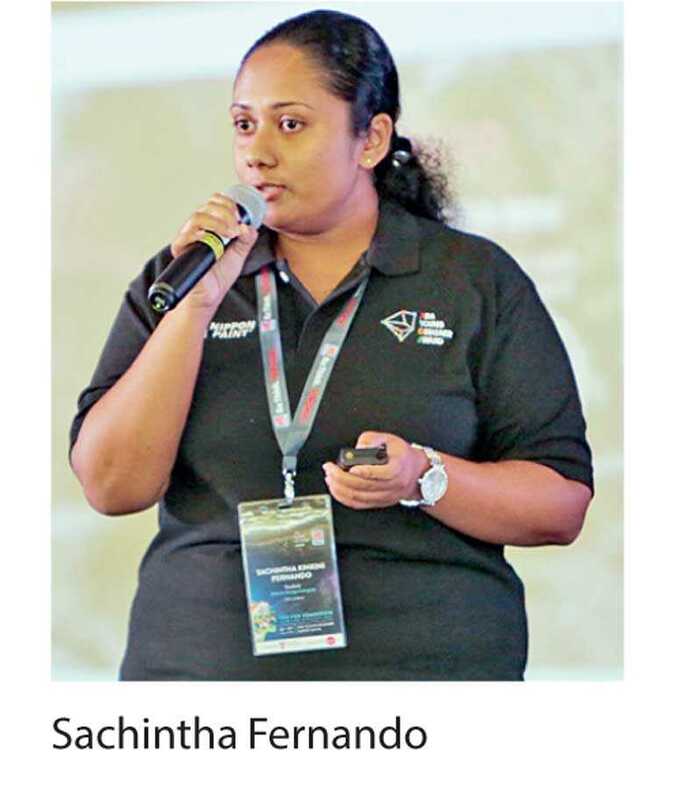 Moreover, competing with talented designers from other countries gave us both an extra edge and confidence which will guide us through to improve our own craft,” commented Sachintha Fernando. The two winners of the Asia Young Designers of the Year 2017/18 awards, Ng Wai How (Architecture) and Shahmeena Labeeb (Interior Design) from Malaysia each won $ 5,000 for their innovative designs. Nippon Paint, one of the largest paint manufacturers in Sri Lanka, manufactures and markets its products in partnership with the parent Company, NIPSEA Group. The NIPSEA Group is market leader with a strong regional presence that spans across 15 Asian countries. The Group manufactures over 1 billion litres of paints and coats annually – positioning NIPSEA Group as the preferred supplier of coating choice in Asia as well as among the top paint manufacturers in the world. Nippon Paint has been providing a great opportunity for Sri Lankan consumers to experience innovative coating solutions of a global brand with advanced Japanese Technology and unparalleled quality. Nippon Paint brands, Nippon Paint and Nippolac are available across the island.